Don't be fooled by the recent poor performance of Chinese tech stocks. That's the advice Jeremy Schwartz, WisdomTree's director of research, has for investors thinking ahead. 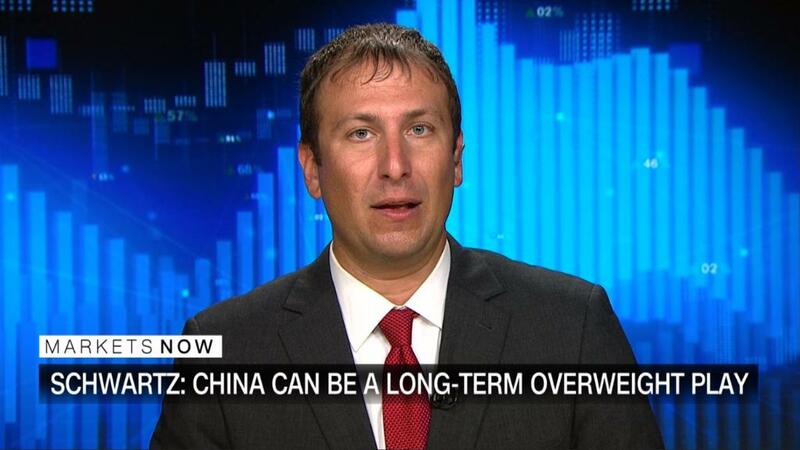 "The long-term growth of the world economy is coming from China," Schwartz told CNN's Chief Business Correspondent Christine Romans on "Markets Now" on Wednesday. Schwartz expects to see a lot of growth in China's consumer tech sector in the next five to 10 years as the country pivots to a more consumer-focused economy. China is pouring resources into its tech sector. The government wants 5G deployed on a large commercial scale by 2020, and China's major carriers have all promised to meet that goal. And now may be the best time to invest in companies like Tencent (TCEHY) and Alibaba (BABA), whose stock price has been driven down by an escalating trade war that shows no sign of slowing down. On Wednesday, China announced plans to put tariffs of 25% on US products worth $16 billion, a day after the Trump administration shared its own list of roughly $16 billion worth of imports from China that will be hit with 25% tariffs. Though Wall Street has responded mildly to the escalations, Schwartz noted that the trade war has probably dampened the market overall. "If we got an actual deal, we could see a 10% move," he said, adding "it's always hard to see exactly what's priced in." On the other hand, "if it goes really, really badly, you could see a 10% fall."